One of the best parts of visiting a new destination is experiencing the local shopping. From local deals to handmade goods, shopping on vacation offers a unique experience. With four premier shopping locations on a mere 32 square miles: Havensight, Crown Bay Marina, Yacht Haven Grande, and Main Street make St. Thomas Shopping truly exceptional and allow you to bring a piece of the beautiful Virgin Islands home with you. Jewelry- With no import taxes for retailers and duty free sales, St. Thomas offers substantial savings on jewelry shopping, especially on those big-ticket buys. Main Street is the #1 spot for jewelry finds and deals. Here you’ll find rows and rows of stores from mom and pop shops to major retailers such as Little Switzerland and Diamonds International. This offers shoppers an uncommon opportunity to price shop on one block. As a result, you’ll find retailers to be extra accommodating, offering complimentary beverages and truly personalized service. If you’re looking for your next watch or a particular piece, you’ll find brands such as Rolex, Breitling, Omega, Patek Philippe, Tiffany & Co., and more. From fun costume bangles to million dollar rings or even a wearable piece of sunken treasure, jewelry shopping in St. Thomas has something for everyone. Liquor & Tobacco- Simply put, liquor and tobacco are just cheaper in St. Thomas, sometimes a lot cheaper. While there are various Duty Free locations throughout the island, liquor and tobacco can be found cheaper than back home at both tourist and local stores: souvenir shops, markets, drug stores, and even gas stations. Here in St. Thomas you’ll find a large shopping selection of spirits from high-end single malts to fine wines, basic rums to exotic flavored varieties, St. John Brewers ales to Louis XIII cognac. Exotic cigars can also be found throughout the island, and you’ll even find a walk-in humidor on Main Street. Use up that duty free allowance by stocking up on cartons or throwing in a bottle of Cruzan rum with your four liter favorites on your visit to St. Thomas. Gifts & Souvenirs- While shopping in St. Thomas, you’ll find something for everyone on your list, especially you! Great deals are found on perfumes, all-natural beauty supplies, and locally made soaps and oils. Score St. Thomas tees and hats, witty mugs, custom-made sandals, or even scrimshaw from a pirate store. If you’re looking to take home a piece of the island for yourself or a loved one, St. Thomas has plenty of shopping options for gifts and souvenirs. 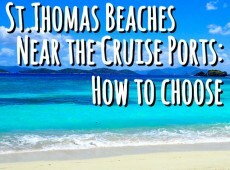 After your St. Thomas shopping excursion, It’s important to note that you must pass through U.S. Customs when leaving the St. Thomas airport or at the end of your cruise to claim the items purchased on your visit. U.S. citizens, children included, may return with up to $1,600 of duty free merchandise every 30 days from the U.S. Virgin Islands which is double the allowance of any other Caribbean islands. U.S. residents 21 years and older may return to the States with up to four liters of duty free liquor. A 5th litre may be added, duty free, if it is a product made locally in the USVI. This is 5 times the one-litre-per-person duty free limit elsewhere, including cruiseship stores. U.S. citizens age 21 and up are allowed up to 100 cigars (not of Cuban origin) as well as up to 5 cartons, or 1,000 cigarettes, per person, duty free, when purchased in the USVI. A U.S. resident may ship items purchased in the USVI (“unaccompanied purchases”) to the United States. Unaccompanied purchases are items bought on a trip that are being shipped to yourself in the States. In this instance, you may declare up to $1,600 worth of duty free merchandise per person if the merchandise is purchased in the USVI. An additional $1,000 worth can be mailed dutiable at a flat rate of 1.5% percent. Home to the best duty free allowances in the Caribbean, shopping is one of the top things to do on your visit to St. Thomas. St. Thomas has so many unique activities, but when it comes to shopping, the island truly offers an experience like no other. Whatever your treasure is, you’ll find it shopping in St. Thomas. 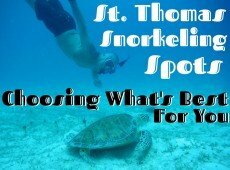 Be sure to check out our blog articles Buying Watches in St. Thomas and A Local's Guide to St. Thomas: Shopping Tours. 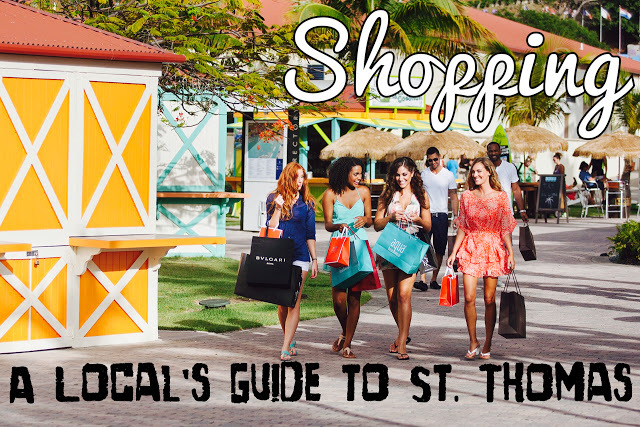 Also, don't forget to visit our Shopping page to book the best shopping excursions in St. Thomas! If you have any questions about shopping in St. Thomas or any inquiries about the island, call or e-mail us for authentic local insight! 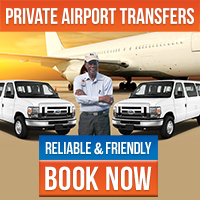 *We take careful measures to keep our information accurate and up-to-date. However please keep in mind that U.S. Customs and Border Protection may make changes at any time that we are uninformed of. Shopping is one of the top things to do in St. Thomas. 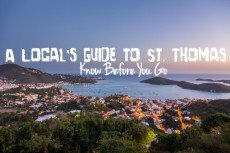 Here's a local guide to St. Thomas shopping deals and duty free allowances.